Exterior: The design idea for the SVARTPILEN 401 is to strip away all unnecessary gimmicks and to create a simple, progressive mix of classic thinking and modern design. 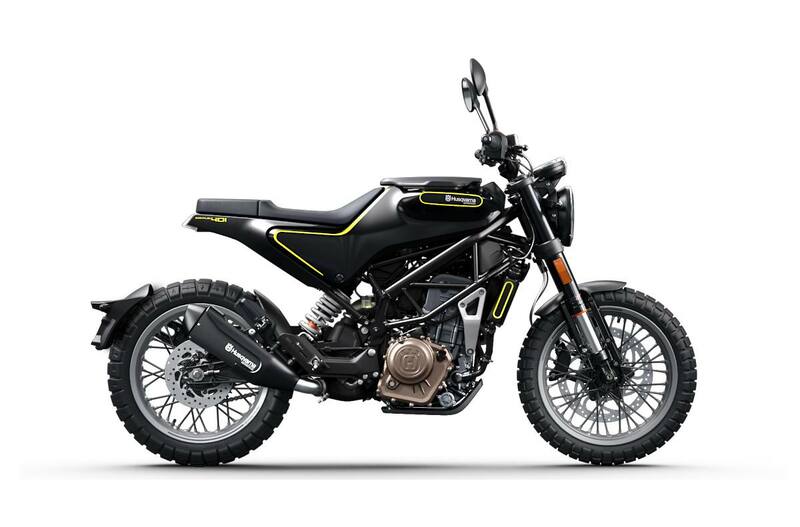 This way of thinking is synonymous with the Swedish heritage of Husqvarna Motorcycles and can be clearly seen on the SVARTPILEN 401. 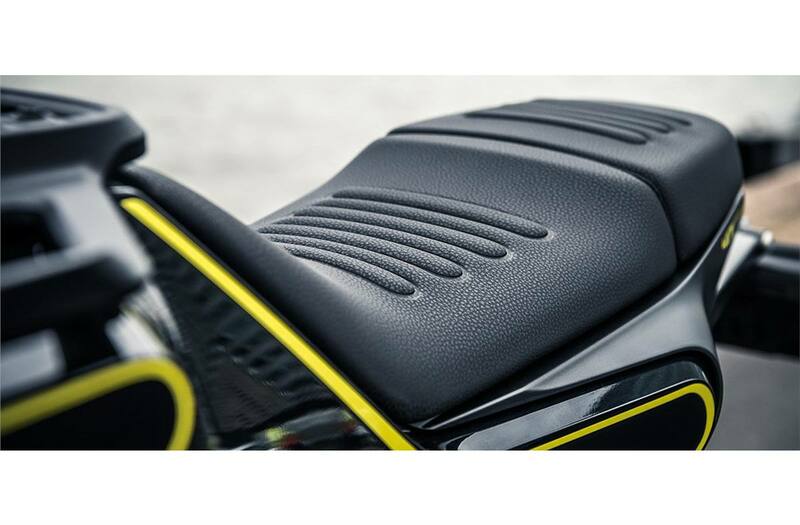 The lightweight and narrow bodywork is shaped into the SVARTPILEN 401’s design and intelligently allows for seamless movement while riding. 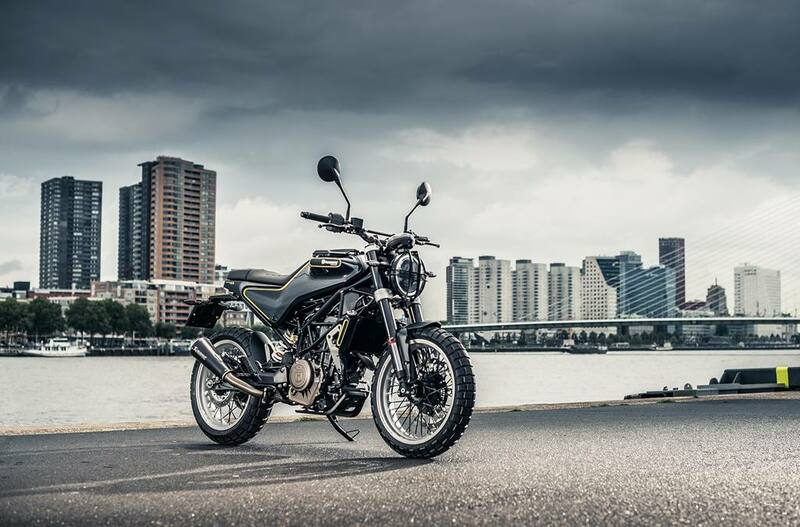 Its black colour, rugged tyres and protective parts give the motorcycle a rigorous look to match its urban exploration intentions. 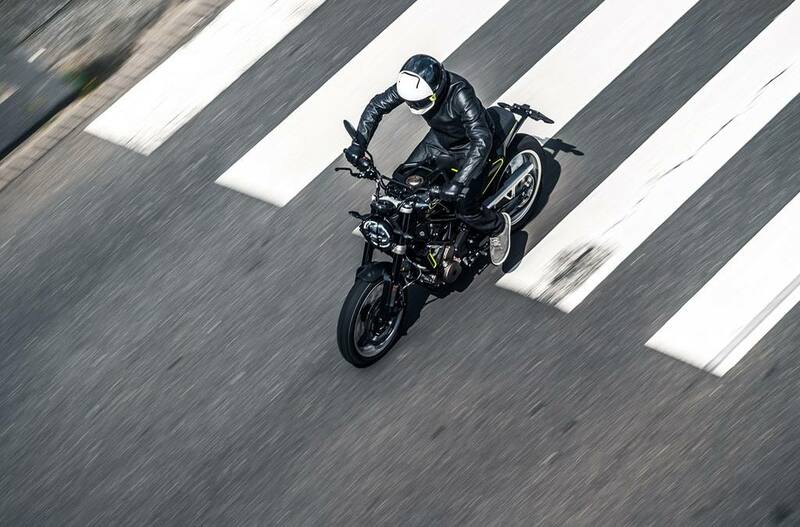 Wheels: A design highlight of the SVARTPILEN 401 are the 17” spoked wheels. 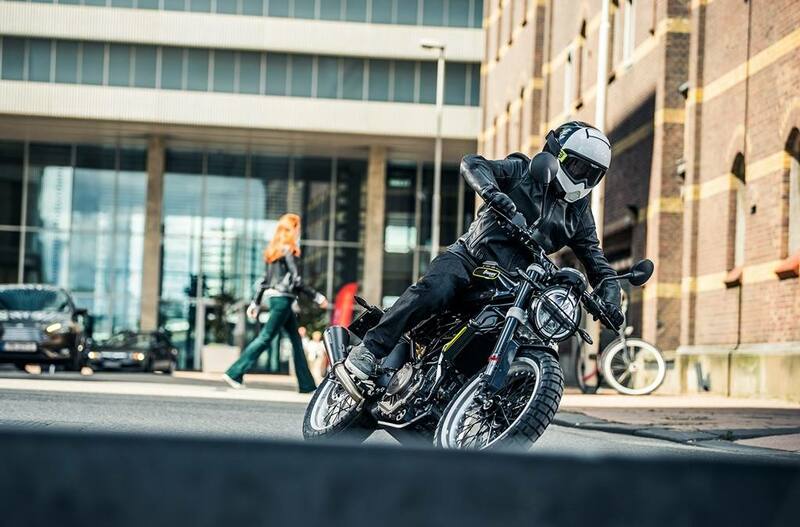 Central to the character of the SVARTPILEN 401, the wheels offer a unique sense of rugged style and are very robust, offering premium reliability on challenging urban terrain. 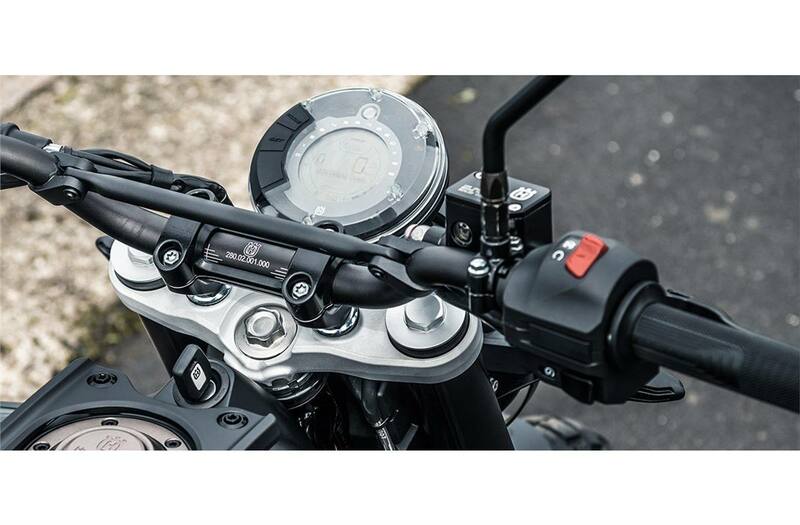 Control Zone & Triple Clamp: Offroad style handlebars and risers attach to stylishly forged aluminium triple clamps, central to the control zone of the SVARTPILEN 401. In keeping with the minimalistic look of the SIMPLE.PROGRESSIVE. design, the control zone is not obstructed by any fairings and simply features a digital display unit with the necessary information. Tank & Filler Cap: The aluminium filler cap proudly displays the Husqvarna Motorcycles logo, like a stamp of premium quality, standing humble but bold on the fuel tank. 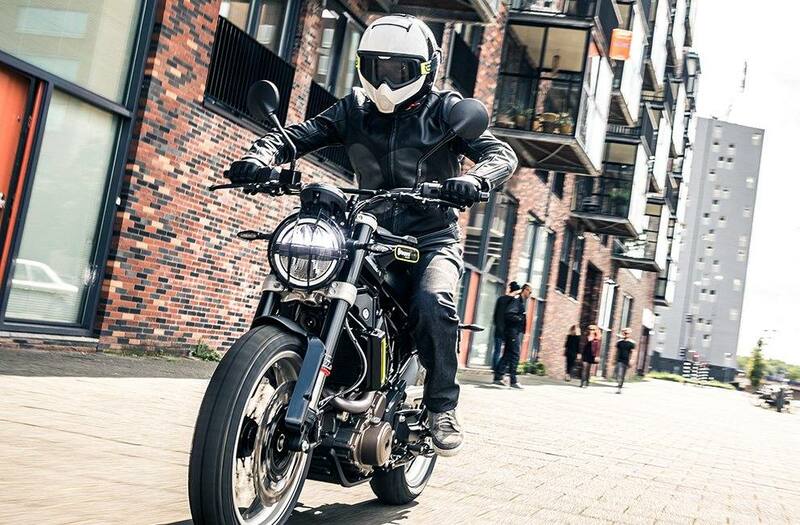 The tank of the SVARTPILEN 401 features a standard luggage rack which allows for the mounting of light luggage for added rider convenience and contributes to the rugged look of the urban explorer.